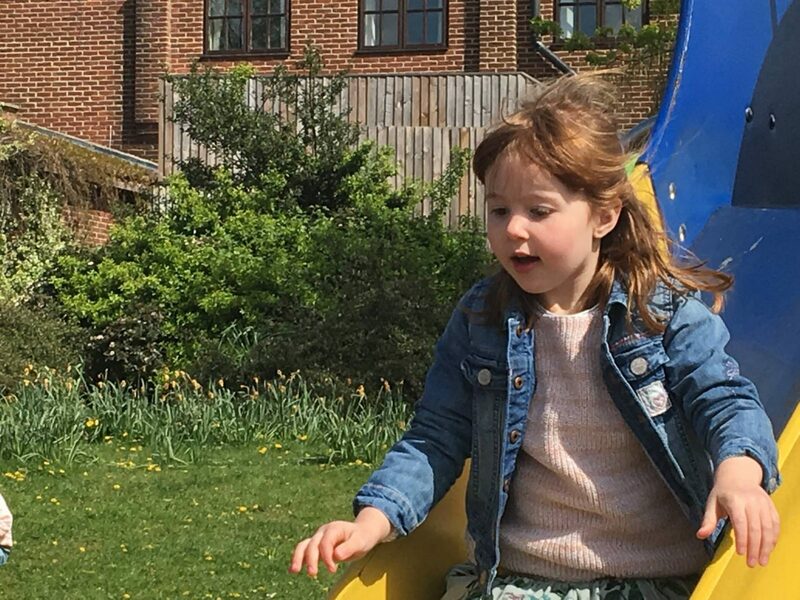 Since Alice started school in September I knew that I was always going to be the mum that couldn’t wait to have her home again in the holidays. That we would live for the holidays and a chance to have her back with us all day every day. As the Easter holidays approached I was excited to have Alice home with us, but also a bit worried. How would I cope with them both all day every day on my own for the first week. Would I be able to cope? I want to make the most of this time with Alice and not let my PND and anxiety get in the way or take over. I want to be the mum I used to be and that I know I can be. A lot of how I am feeling comes down to the mood of the girls, well mainly Alice as she is older. Thankfully she wasn’t as tired as she was back in February half term and that makes such a difference to her temperament. But do you know what we had a pretty amazing week, yes there was the odd moment and squabble between the girls. What I noticed the most this week is that they’ve played so much better with each other. The time they normally spend together after school, isn’t the best time. We are know it’s called the ‘witching hour’ and for good reason. But to spend whole days together has strengthened their bond even more. We’ve spend a couple of days with my parents. 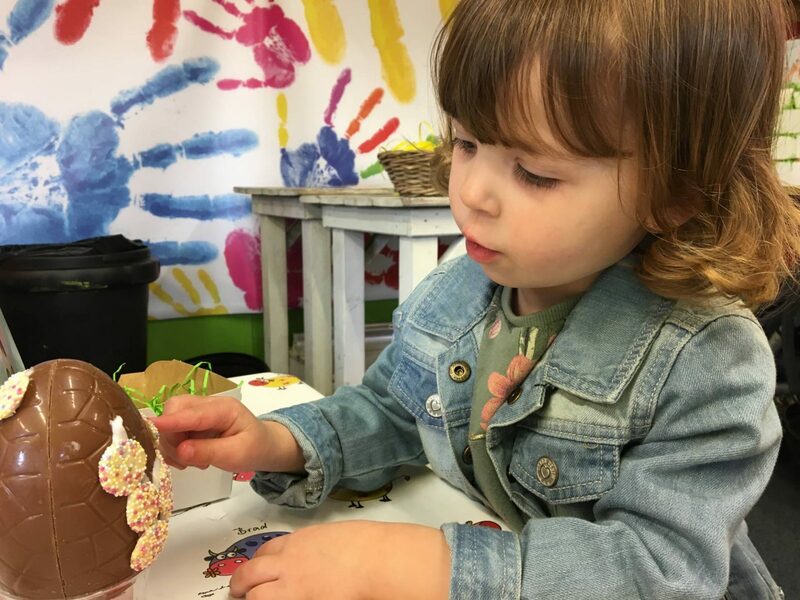 We went to one of our favourite places, Millets Farm and did their Easter activity. Where the girls decorated a chocolate egg with sweets, because obviously the chocolate wasn’t enough!! They played in the park and we saw the animals. It was wonderful and the sun shone which makes such a difference. We’ve had time at home where the girls have played with their toys, I love to watch their imaginations and this week it was all about shops. They’ve been in the garden playing in the sand pit and riding their scooters. I also had a morning with Alice on our own. 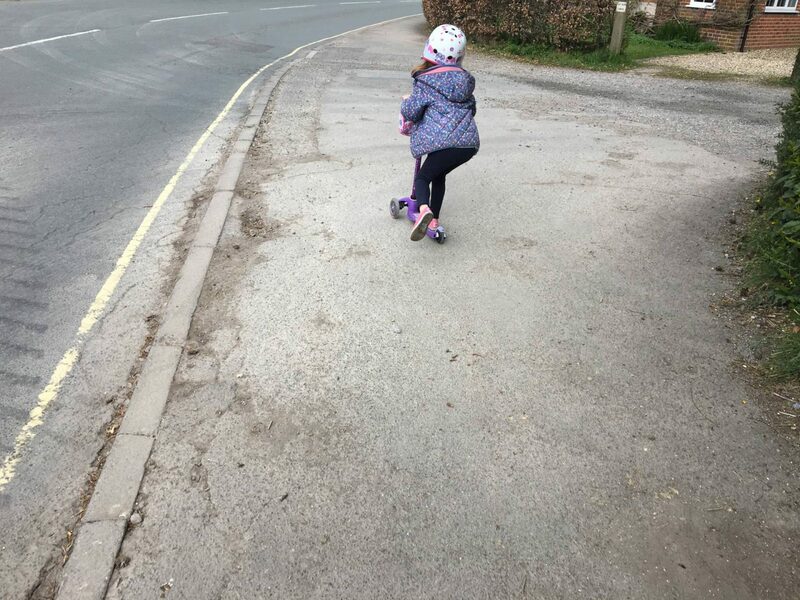 We baked Easter cakes, she rode her scooter to the park and we met our friends for a game of ten pin bowling. Which Alice loved and she did really well for her first time. As I write this and look back at the week, I have to say it’s been pretty perfect. Yes, there have been a few moments that the girls have made me tear my hair out. But I can honestly say that its been few and far between, they’ve been wonderful. And I survived and I don’t normally feel good about anything. But I do feel good about this, it’s a big turning point for me and to have Andy come home from work and not find me rocking in the corner is big! You have to take the good days when they come, as we all know parenting is a rollercoaster…wish me luck for week two! 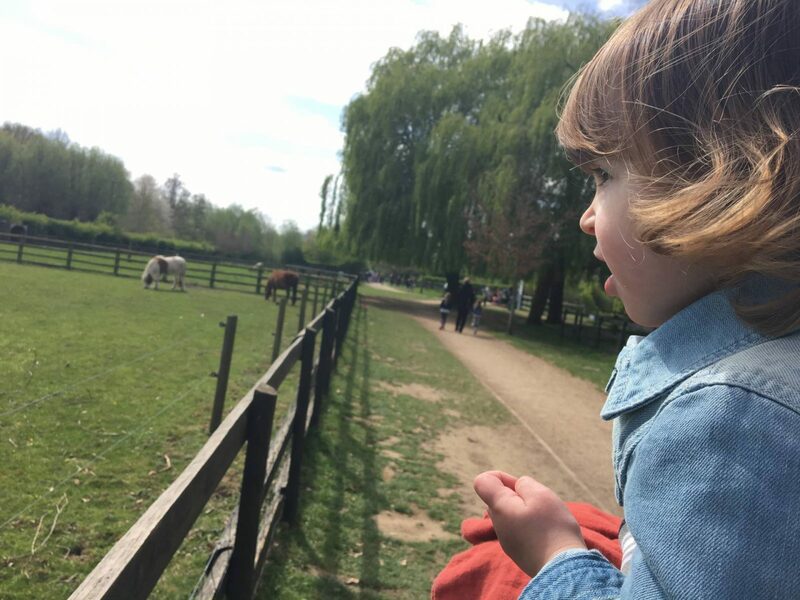 I am definitely that mum too I just love having them both here and the two weeks of Easter just seem so brilliant to soak up the ordinary time together – despite the odd squabble or bad day! The farm looks awesome, you always take such beautiful photos I must ask you what camera you use.